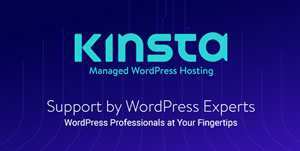 Plugins extend WordPress’ functionality and let you do almost anything with your existing site. In this tutorial, we create a downloads gallery WordPress plugin, keeping it plain and simple and focussing more on WordPress core instead of PHP logics. Firstly, we will setup the admin area functionality which includes uploading, listing and deleting files. Secondly, we will list the uploaded files on the actual site for others to download them. You can easily turn this plugin into a full-featured Downloads system, but as of now, we will focus more on how to work with WordPress to setup a working plugin. We will be setting up a Downloads Gallery for your WordPress website, where we need our users to download all the files uploaded by admin. In brief, we need a page to upload files to WordPress and a page to download the requested files. secure_files: This folder will store our download files. downloads.php: This file will let the end-user download the file by clicking on a link. 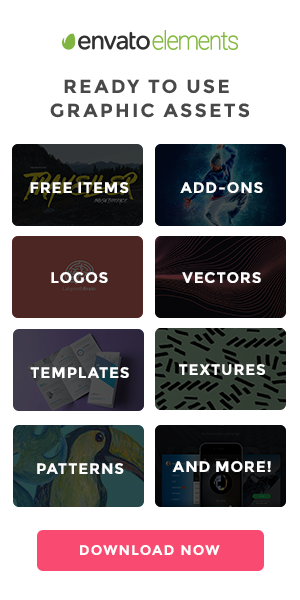 style.css: You can write a seperate design for your Downloads Gallery under this file. tutlage_file_manager.php This file will store the logics for the front-end view (website page to download files). tutlage_file_manager_admin.php This file will store the logics for the admin page. These are the required files in order to setup our WordPress plugin. We will be creating functions to manage uploads and downloads. You will need to have a working knowledge of PHP basics for this purpose. You can activate the plugin by clicking the Activate link next to the plugin name, but it will not make any changes to WordPress because we have not yet written any code for our plugin. Action Hooks are designated points in WordPress which give you a chance to run your code before executing any described function. Let’s say you wish to add something to the footer of WordPress. You can hook your function with the wp_footer function. See the given example. Check out list of available hooks in WordPress. Now if you have the plugin activated, just go to the website and you will be able to see the above text at the bottom of the page. As we have nothing to do with footer, just remove the above code so that we can write the action hook to show our plugin inside the WordPress Settings tab. Copy the above code inside your tutlage_file_manager.php file and refresh the Dashboard page. Now you will be able to see a link inside the settings tab. What we have done so far is called the add_options_page function to list our plugin inside the Settings tab. You can read more about add_options_page here. As of now, we are able to see our plugin link and a blank page. We can move forward to create an Upload button for our plugin. We will keep the logics for our admin page inside a different file. Let’s create a new file tutlage_file_manager_admin.php. WordPress, by default, listens to the main plugin file which in our case is tutlage_file_manager.php. So we will include the tutlage_file_manager_admin.php file under this file. This form will not do anything as of now becuase we have not written any code for it. We need to find out whether the Download directory, which in our case is secure_files, exists or not. Paste the below code at the top of your file. First, we have defined the base path for our Downloads directory. Next, we have created the function which will check whether the above directory exists or not. If not, it will make a new directory. Finally, we are calling the function. We have created a variable $file_name which will add the current time (in milliseconds) in front of the filename. It will make sure we are not over-riding the existing file with the current one if they both have same name. Everytime we click the Upload button, we are running the function uploadFiles() with the required parameters. First, we will pass the folder path. Next, we will pass the actual file name. Lastly, we will pass the temporary file name. If the upload was successful, we will show a success message else we will give an error message. Check the secure_files folder to find out whether files are saved there or not. At this point, we are able to save files; now we need a way to retrieve all files from the secure_files directory and list them to our plugin’s page. The below function will return an array of data containing uploaded file information. It is a good pratice to keep all of your functions in one place, so paste the below code right where your last function ends. The above function will list all the files from a specific directory. Earlier, we created an if statement to upload the files, now we will create an else statement just next to it to list all files. It does seem like a lot of code, but most of it is HTML. First, we have called the function getUploadedFiles() which will get all files from a directory and return us the array of data. Next, we have created a table and defined ID and class attributes to make sure our table looks quite similar to the native WordPress table structure. We have also stored the output inside a variable called $output. All we need to do now is to echo the above variable. Place the below code next to the form we created, and we are done! If everything has gone right, you will now be able to find a Delete button with every file listed on a table. So, why not write one more function to delete the selected file? The above function is quite simple as it will check if the selected filename is a file. Then, we can use the unlink method to delete else, we will also use the rmdir method which will remove the directory. Now where should we write the code that will run after hiting that Delete button? Do you remember that we created if and else statements earlier? Let’s add else if inside them and this else if will be the one to delete the file. Let’s have a quick recap of what we have done so far. We’ve learnt how to add a link to our plugin inside WordPress Settings menu, figured out how WordPress hooks work and have created the functionality to upload and list files from admin’s Dashboard. Now, we will work with the front-end logic where a user can download all the listed files from our website. Let’s break it down to find what we need to make it work. Create a dynamic page where all files will be listed. Grab all files from our secure_files directory and list them on the above page. Add functionality to download file with onclick event. Let’s get started with it. Open file tutlage_file_manager.php and paste the following code inside it. The above function will check whether a page with the title Downloads Gallery exists or not. If our Downloads Gallery exists already, than we will not create a new page else we will create one and name it Downloads Gallery. Now go back to your actual website and you will find a blank page with a title Downloads Gallery. With that done, we now need to write a function to grab all files from the secure_files directory and list them on this page. Copy function getUploadedFiles() from tutlage_file_manager_admin.php and paste it to tutlage_file_manager.php and rename the function to getDownloadFiles(). This function will do the same thing: it will grab all the files from a given directory and return them in an array. Now we need to call this function, break the array and list them on the page with title Downloads Gallery. Most of the above code is HTML which will let us display our files inside a table. There will be a link next to every item which will allow the user to download it. Next we will make a check whether that page exists or not using is_page function. If it exists than we will call the above function getDownloadFiles(), which will return files as an array. Finally, we will break the array and list the items inside a table. Now if you refresh the page, you will see no change. It is because so far we have only created the function. We still need to attach this function to WordPress so that every-time the content is loaded, our function runs as well. downloads.php does not have much work to do: it will get the file name from the URL and will use method to read the file back to the user. Now, you can easily test the entire plugin right from uploading to downloading files. Yes. As of now, we have not created any stylesheet, so let’s take care of that too. Create a new file named style.css. This file will let you write styles for your actual Downloads page on the website. We just have to link the stylesheet to our existing function called list_downloads(). Open tutlage_file_manager.php. Paste the above code inside if statement of list_downloads() function. You can now write any styles for your Downloads Gallery.